The UK telecoms regulator has hit KCOM, the incumbent telecoms and broadband provider for Hull in East Yorkshire, with a fine of £900,000 after “a serious weakness” in their network resulted in 74 calls to the emergency services failing after a BT telephone exchange in York flooded during Storm Eva. Under the rules network operators’ like KCOM are required to provide “uninterrupted access to emergency organisations” (police, fire etc. ), although such systems are very complicated and sometimes major problems do occur. In this case the operator informed Ofcom on 28th December 2015 that its emergency-call service for the Hull area had failed for around a 4 hour period as a result of the aforementioned flooding. Ofcom’s investigation ultimately found that all emergency calls from customers in the Hull area relied on the flooded telephone exchange in York (Stonebow), which was a single point of failure in KCOM’s emergency-call routing and one that wouldn’t have occurred had they been correctly following the rules (i.e. KCOM should have had a system to automatically divert emergency calls via back-up routes). In fact KCOM did have back-up routes but they all went through the same physical telephone exchange. Doh! 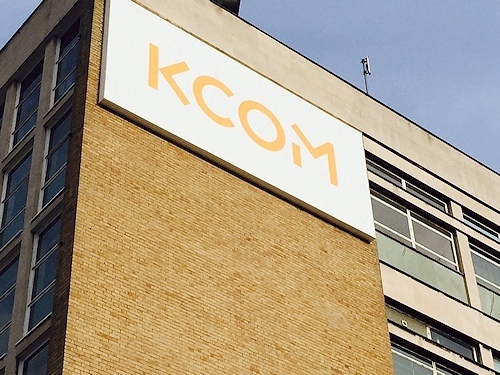 KCOM has now created an alternative route to carry emergency-call traffic that bypassed the flooded telephone exchange in York, which was apparently established within just 2 hours of identifying the problem. Nevertheless Ofcom has fined the operator £900,000 and given them 20 working days to pay (this will be passed on to HM Treasury). “We recognise the critical importance of providing our customers with uninterrupted access to emergency call services and take that responsibility extremely seriously. During Storm Eva in 2015, the loss of our 999 service was a result of a single point of failure in another operator’s exchange in York. Our emergency call services are managed through long-standing external outsourcing arrangements. In establishing them, we sought to ensure diverse and resilient routing, which Ofcom has acknowledged in its findings. Mobile network operator Three UK was recently fined £1.89m after they made a similar mistake (here), although they’re a mobile operator and have a much larger customer base. Interestingly Ofcom’s investigation also provides us with an update on the number of lines that KCOM serves (total of 187,406). Added a comment from KCOM above. I think this is the first indication of what the actual shortcoming to the 999 service was. Definitely a case of Doh! I think it is fair to say that that day’s flooding caused a fair number of problems to the emergency services’ communications around York, North Yorkshire and West Yorkshire.